Our friends Plants Based News needed help editing an interview with Brian Rose in the London Real studios. Check out the promo. For those of you who don’t know Brian Rose he has an amazing channel interviewing many celebrities and interesting characters. We edited the main interview and the trailer. Brian covers his new journey with vegan food, and training for an Iron Man. This journey he covers in a new strand on his site Iron Mind. The footage was shot on two Sony A7S and a Panasonic DVX200 camera. We graded and finished it in UHD resolution. We edited an interview filmed jointly by Plant Based News and Activideo. The footage came in as Prores files from a 4K Black Magic Production camera and XAVC-s from the As7. Christopher Gribbin (original video director at Unilad) was influenced by Conspiracy to make his own film in the UK called Meat The End. Chris tells us about his journey to veganism and about the film making process and how to get the plant based eating message out there. Christopher make the point that showing people the reality of processing animals into food is not the way to gain acceptance of a plant based diet. Being a positive example of the healthy and compassionate lifestyle is the way forward. We often edit Brother promos for Activideo Communications our sister company. They have had a good relationship with the blue chip office equipment company for over a decade. This video was an update to the range but it is the first video Activideo have delivered in 4K. The footage was acquired on a Black Magic Production Camera at UHD prores HQ. Edited on premiere and versioned in 11 different languages. The internet and smart TVs are pushing technology faster than the broadcasters. As long as you have a fast pipe to your home or office you can now watch content at quality unheard of a few years ago and from content makers of all sizes from all over the world. It is pretty exciting if you think about it. The challenge as always is what to put in front of the camera?, is there any talent? what is your audience? We have worked on Crocky Trail branded content before. Here we made a long promo and a few short ones to facilitate a social media campaign. Footage was compiled from Black Magic 4k, Panasonic DVX200, GoPro drone and ground originated material. Then we wove our usual editing magic and graded them to deliver in 4k. We love grading, here you see work we did on a moody video that highlights the need to be able to swim. The project was shot on Alexa and the edit was in Avid. When it came to finishing it we rebuilt the timeline in Resolve. Black Magic Design’s Resolve is fast becoming a great edit tool as well as a great grading tool and for certain projects we will be using Resolve to edit. The ability to easily trim and perform edit functions alongside all the great grading tools is really handy. The rendering out is fast too. 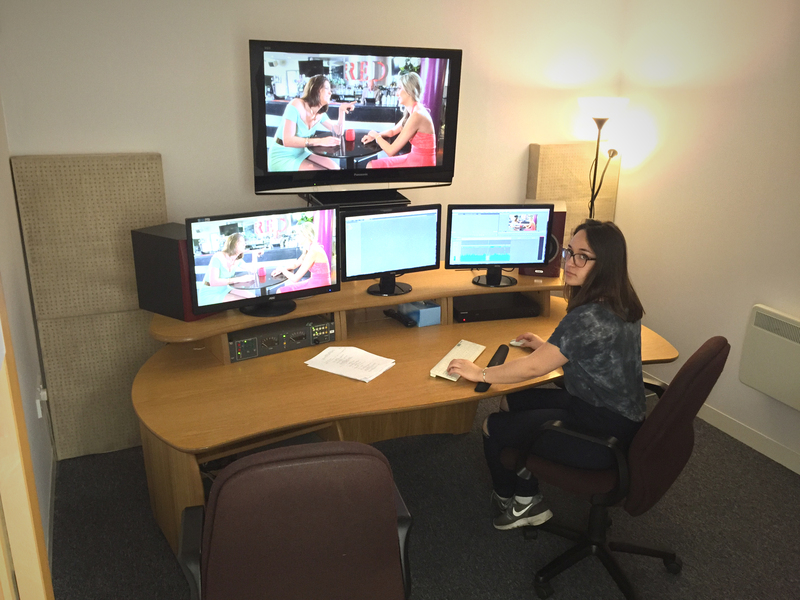 Sublime Pictures are a boutique post production providing editing near Media City. We have moved from the city centre to Safestore at Old Trafford so that we are able to offer quality edit services but at a lower cost. Yes all things must come to an end and we have to embrace change. We came to the end of the road with our old place in the centre of town as the water was coming in and our landlords did not want to spend any money on the place. We are sorry to see the old place go as we have many memories there but our new place in Old Trafford has lots going for it. The good news is that Sublime is now near Media City we can more easily work with companies in the media mega hub! The edit suites are clean and dry! ready to welcome new customers needing edit time to craft their video content. Edit 1 is good for finishing and grading. Edit 3 is the nerve centre with a suite and ingest/backup area. We have 3 affordable suites that spread across the needs of corporate and broadcast. We can also produce bespoke solutions so give Brian a call. We finished this music video shot in Manchester at Studio Manchester, edited by Jermaine Quanioo and Directed by Mark Davenport. This was originally edited in Avid Media Composer but finished in Resolve 12 in 4K resolution. A very catchy tune and a well crafted song.